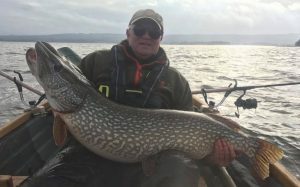 MARTIN ALLEN smashed his pike PB with this fantastic 39 lb giant… after a wise switch of baits. Huge pike – but it took a small bait. A BBC PRESENTER landed a surprise 13 lb brown trout during filming – whilst fishing for pike. 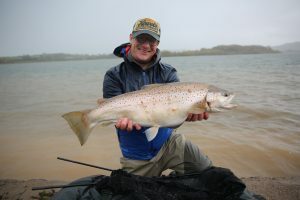 Will Millard displays his stunning big brown trout. 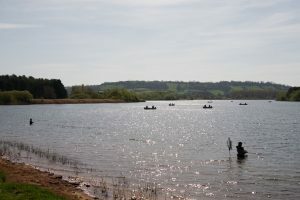 FISHING at Somerset’s famous pike mecca Chew Valley Lake had to be closed for two days when an elderly trout angler fell into the water and drowned while wading. C3WHRY Anglers at Chew Valley Lake reservoir near Bristol, UK. Image shot 04/2011. Exact date unknown.